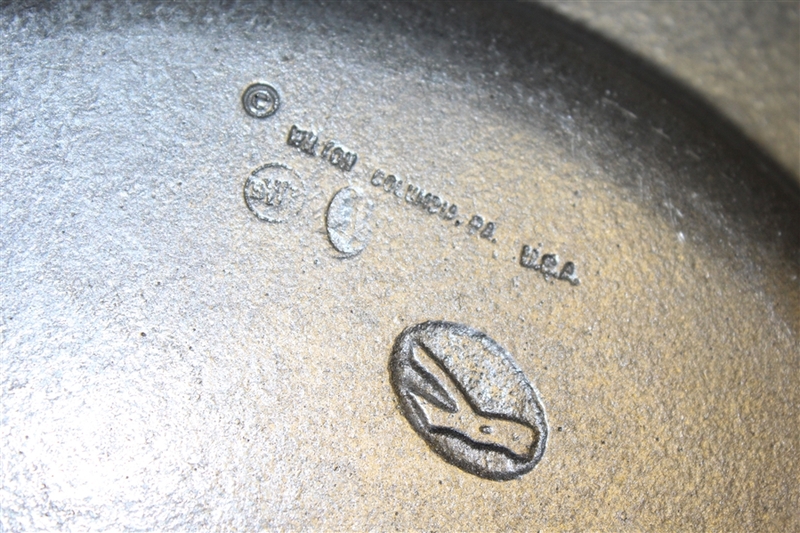 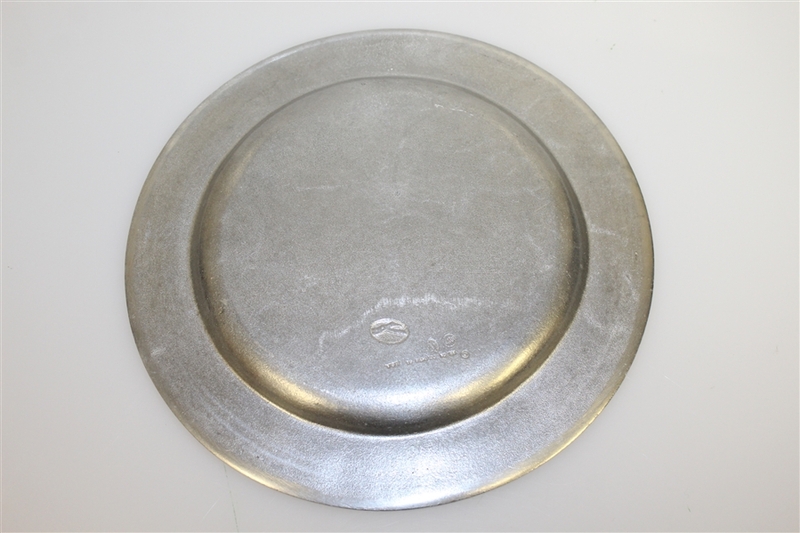 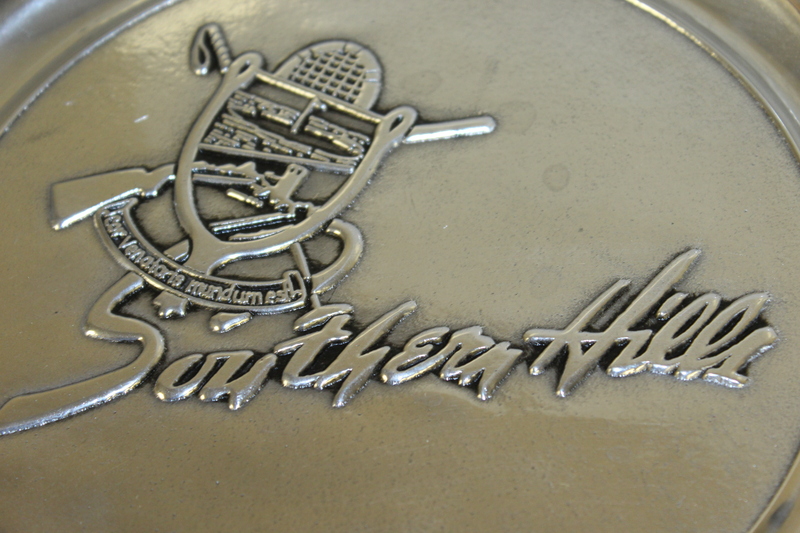 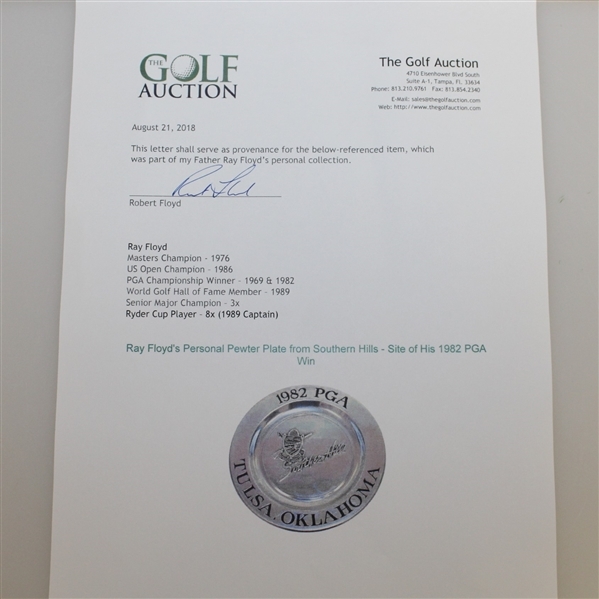 Offered here is Ray Floyd's commemorative Southern Hills pewter plate, measuring 11" in diameter. 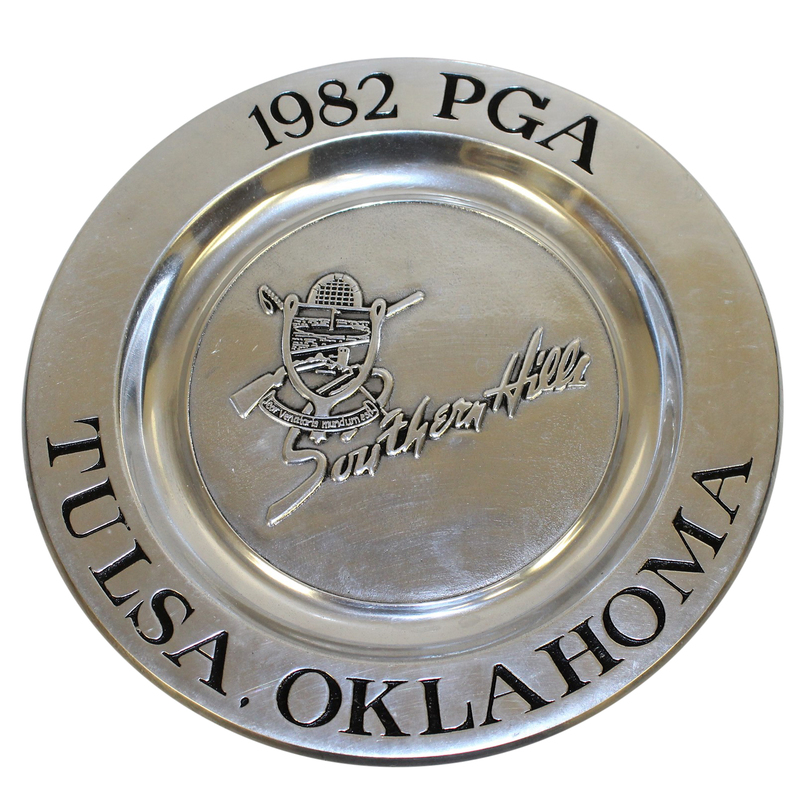 In 1982, Ray Floyd - on a boiling day for the first round of the PGA Championship held at Southern Hills in Tulsa, Oklahoma - beat the heat and the course shooting a 7 under round of 63. He went on to win by three strokes over Lanny Wadkins.